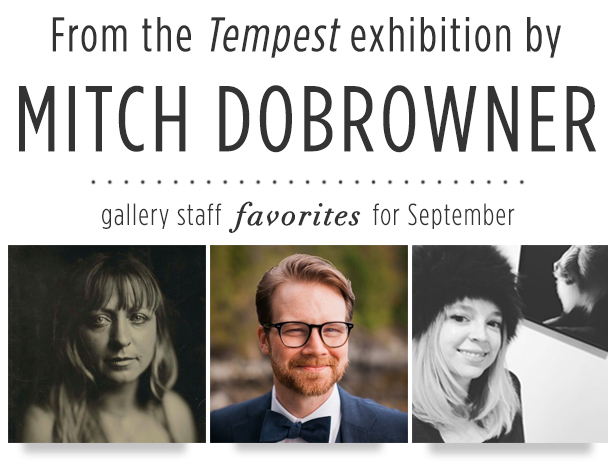 photo-eye Gallery Gallery Favorites: Three selections from Mitch Dobrowner's Tempest In this Gallery Favorites segment Anne, Savannah, and Lucas select works from our new Mitch Dobrowner exhibition Tempest. 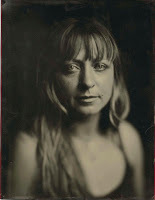 When enjoying an exhibition, gallery clients often ask me which image is best to collect? When surrounded by work you love, sometimes deciding which image to take home and live with can feel overwhelming. 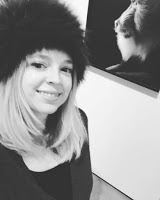 One answer is to start with the work you most respond to and build a portfolio of that particular series by that artist, but most collectors we work with prefer some diversity in their collection. My best advice still circles back to our blog post on collecting photography – buy what you love. Some might come to find that they have a personal connection with the image – say a dirt road that takes them back to childhood, others might be operating purely on intuition and others on a certain aesthetics in mind. Part of the benefit of working at photo-eye Gallery is being surrounded by captivating images on a daily basis. This gives us the chance to live with the work – which is helpful in developing our own personal collecting strategy – and helping others find theirs. 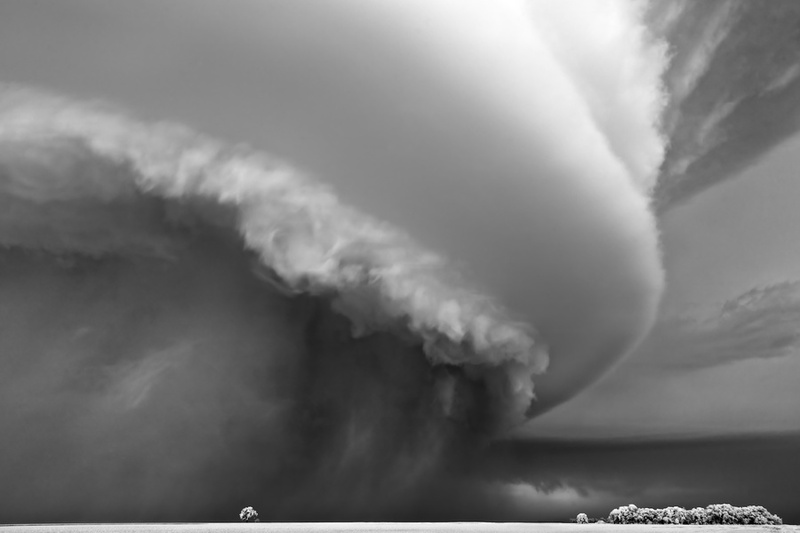 In honor of our current exhibition, Tempest, this month we have turned our focus to Mitch Dobrowner and are recommending our favorite of his unique stormy landscapes. As I have mentioned previously when it comes to collecting I defer to intuition. Some images just naturally speak to you- sometimes we can define what that is while other times it doesn't feel necessary. In my opinion Lightning Storm and Homestead, 2017 is a contemporary version of a classic masterpiece. Though I happen to know that this photograph was made a few months ago, based on the subject matter it could have been made centuries ago. I have this experience with a number of Dobrowner's images. This photograph, in particular, reminds me of Dutch Boats in a Gale, 1801, by Joseph Mallord William Turner - one of my favorite painters. In Lightning Storm and Homestead, 2017 we see a vast landscape- a majority of which I enveloped in a dark storm cloud and has produced a strike of lightening of monumental scale. On the right side of this image, we see a tiny farm just below where the storm is breaking - the end of the storm is in sight. Though there is something calming about this image, in my experience, I can still hear the lightning and rain in the background- in the same way, that you do when you're sleeping in a warm bed on a rainy night. I find “Storm, Field, and Trees, 2017” to be particularly romantic, for its luminous silver tones and the beautiful windswept landscape Dobrowner has presented us. The monochromatic scene is commanding yet quiet. The subtle motion happening throughout the grass, cornfield and tree leaves feel like impressionistic paintbrush strokes. The swirling clouds above are enticing the trees below for a dance. This could take a turn for a more violent storm, but for now, things are quite harmonious, a moment certainly worth celebrating. 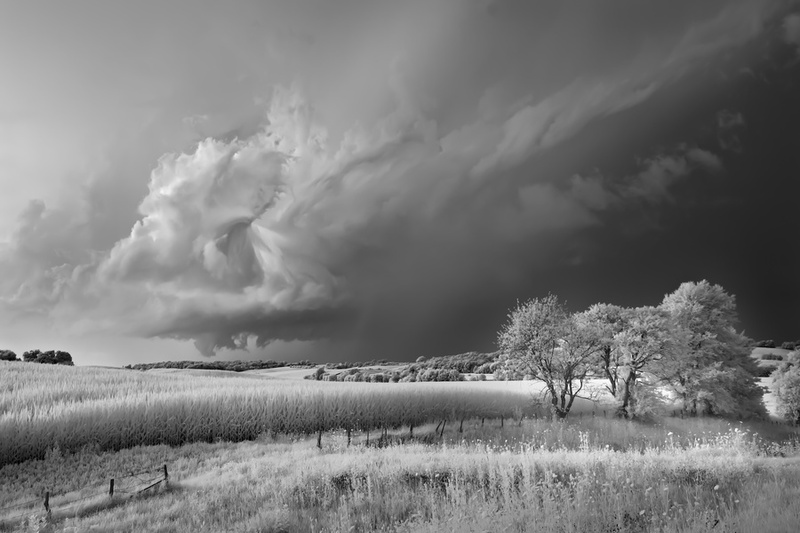 Helix and Trees an image from Dobrowner's recent 2017 STORMS series release and one of the larger prints in our Tempest exhibition. 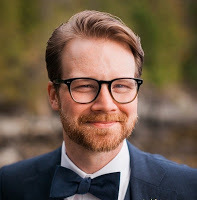 One of the aspects I love about Mitch's work is how he's able to capture the form and feeling of a very real, yet seemingly unbelievable, natural event. In Helix and Trees, a solid curl of cloud appears to diagonally plunge into the scene from the upper left as a curtain of rain spills out from its center sweeping across the delicate strip of earth along the bottom edge. For me, the image is thrilling; a reminder of my own size and fragility as well as the splendor and vitality of the world around me. Personally, having grown up in a rural farming community, this image also triggers memories of summer's past chasing thunderstorms on a bike across fields with my brother. 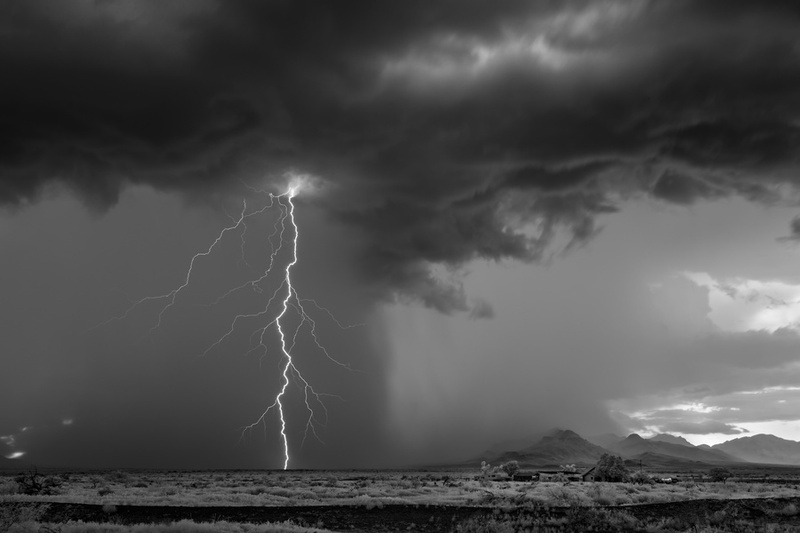 Tempest by Mitch Dobrowner is on view at photo-eye Gallery through November, 11th 2017.